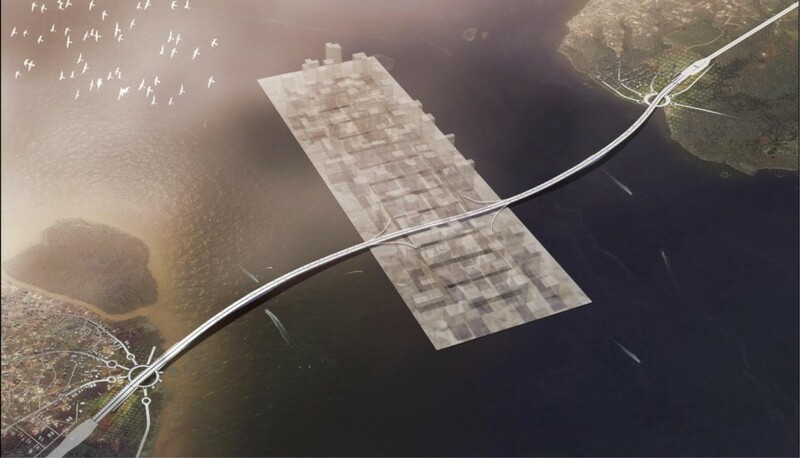 With these opportunities come an intense congestion; causing pressures that threaten to paralyze the city’s circulation, its growth and its people. 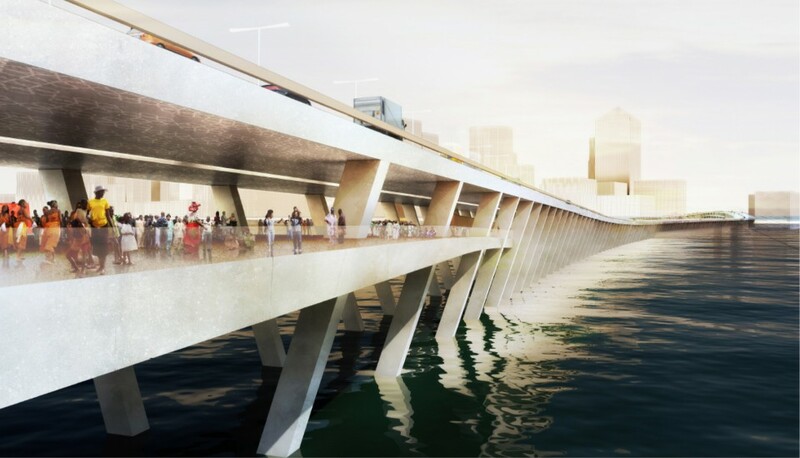 To reduce this pressure, we propose an operation – the 4th Mainland Bridge. 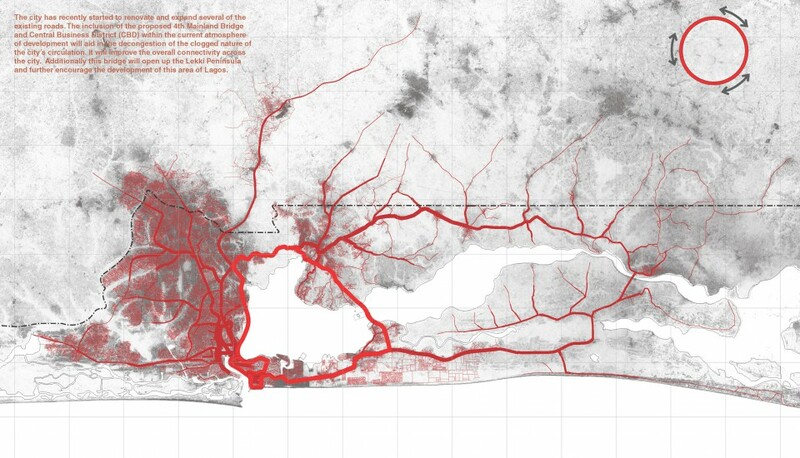 The operation will be the insertion of a bypass; a bridge within the body of Lagos. 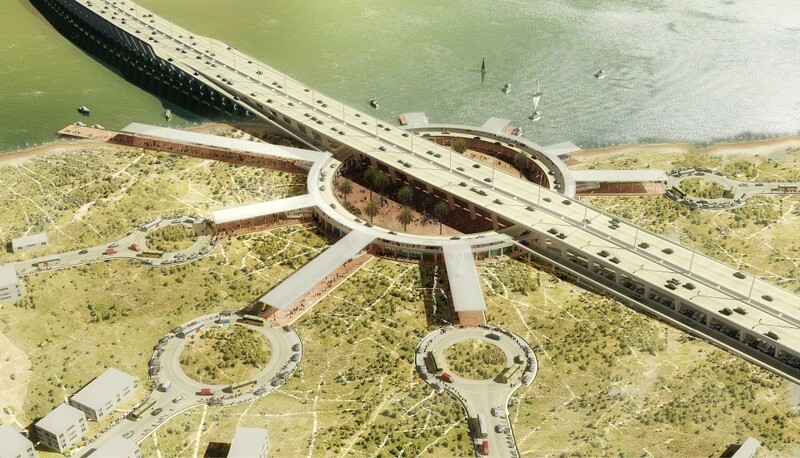 In addition to this bridge, we also propose a new heart to support the bridge. 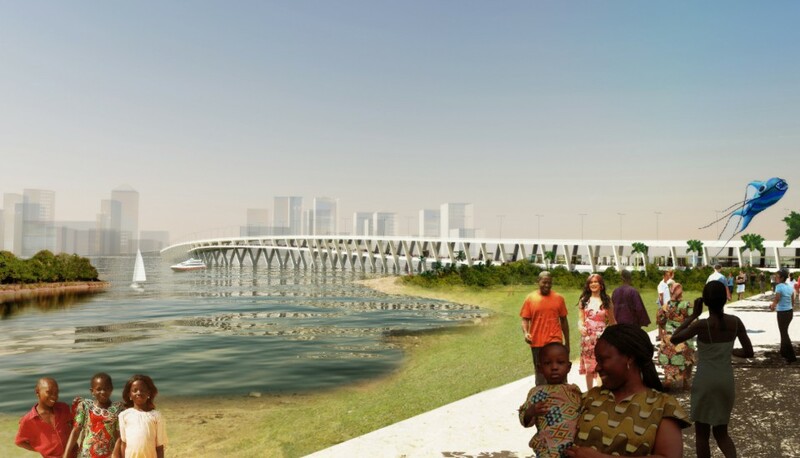 This ‘new bridge and new heart’ in the body of Lagos will not be typical infrastructure; they will connect people in large numbers and improve their natural flow through a reorganization of vehicular, waterways, and pedestrian modes of transportation. 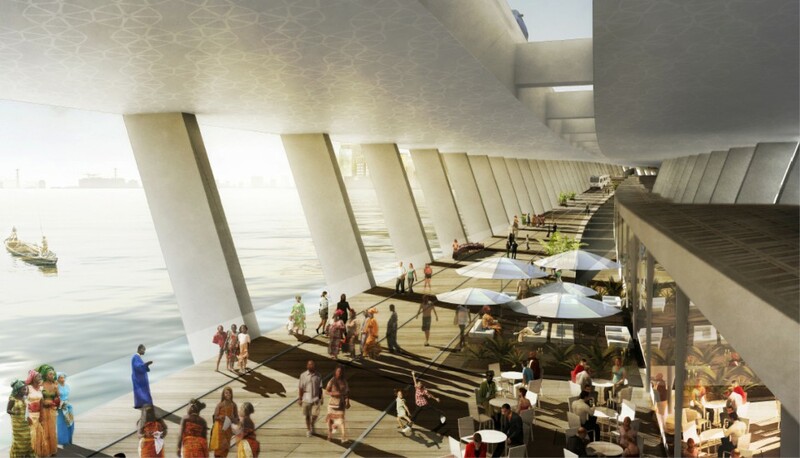 The 2 level bridge will not only function as a means for vehicular traffic on its upper level, it will stimulate and accommodate pedestrian, social, commercial and cultural interactions on it’s lower level – ‘Lagos Life’ – with its tropical environment and intimate street level exchanges. 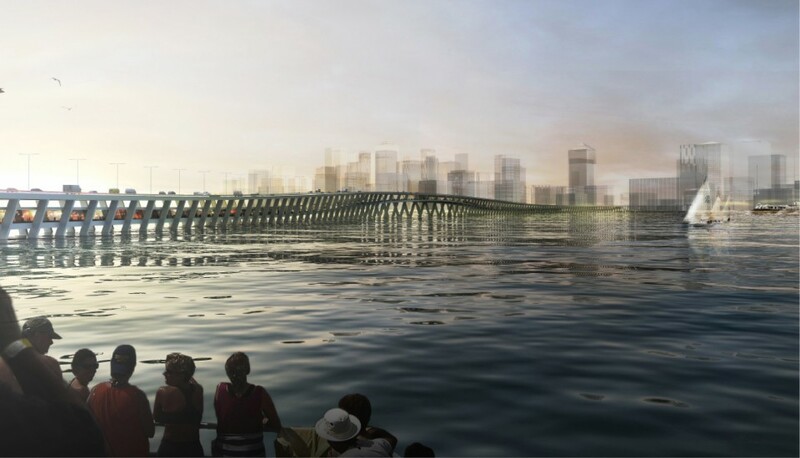 The Fourth Mainland Bridge in conjunction with existing road networks would establish a primary ring road around Lagos. 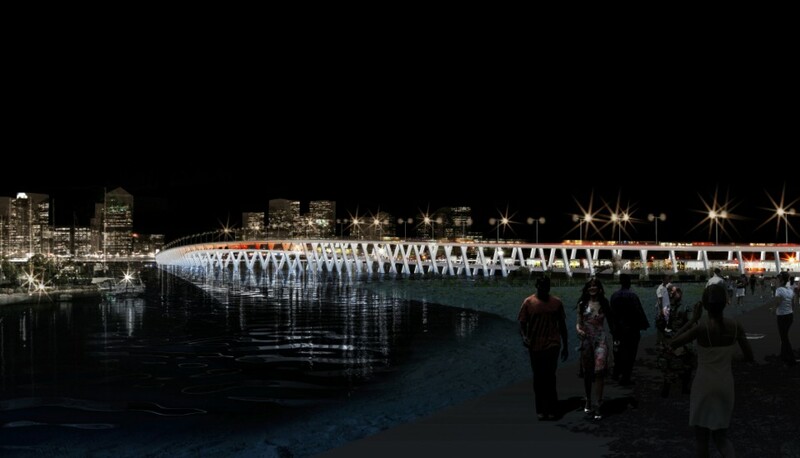 This ring road will provide alternative traffic routes from Lekki to Ikorodu, Ikeja to Ajah, relieving the 3rd Mainland bridge of its overstretched capacity. 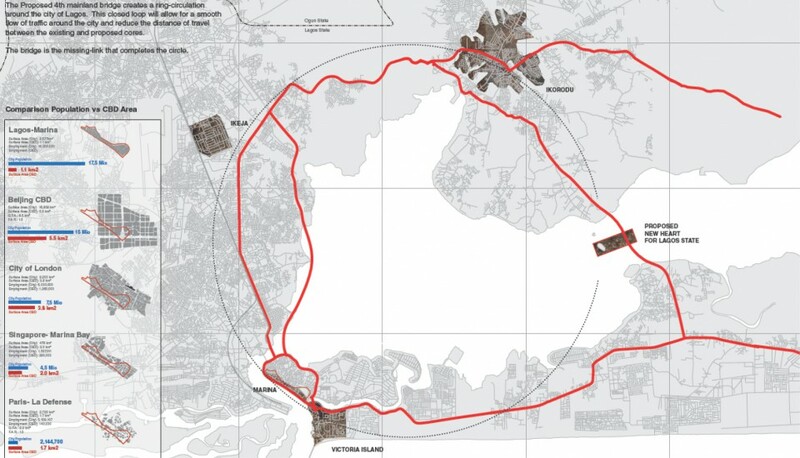 With this improved flow of people across Lagos, the city will be relieved of traffic congestion, will maximize its great opportunities and grow better. Client: Missing Link Motorway Co.